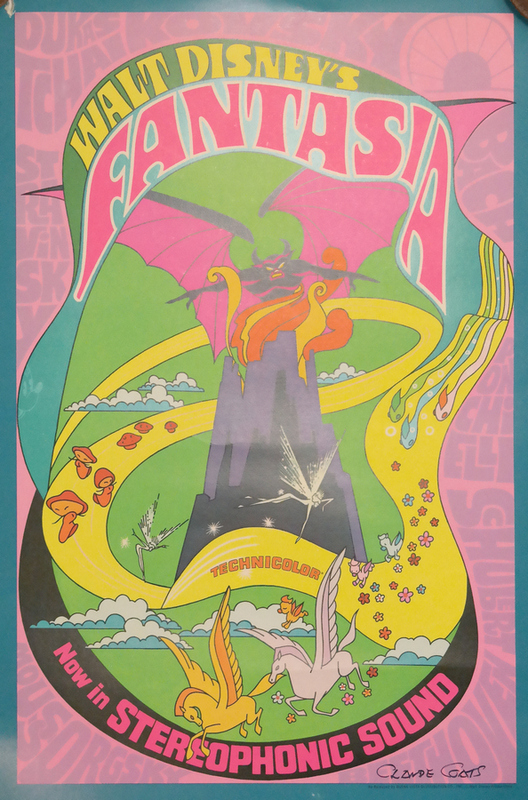 This is an original promotional one sheet poster printed on a heavy card stock from the 1970 rerelease of the classic Disney animated feature, Fantasia (1940). 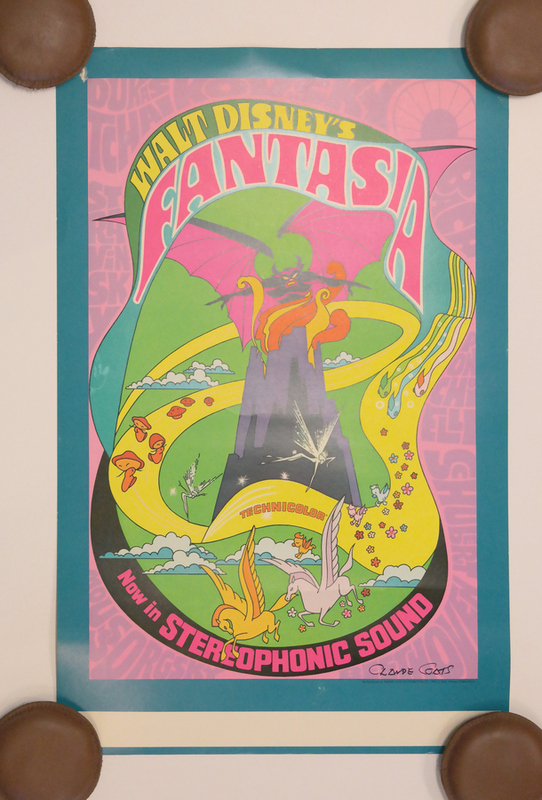 The poster features a very psychedelic style image. The poster measures 41" x 28" and the main image area measures 37" x 24". 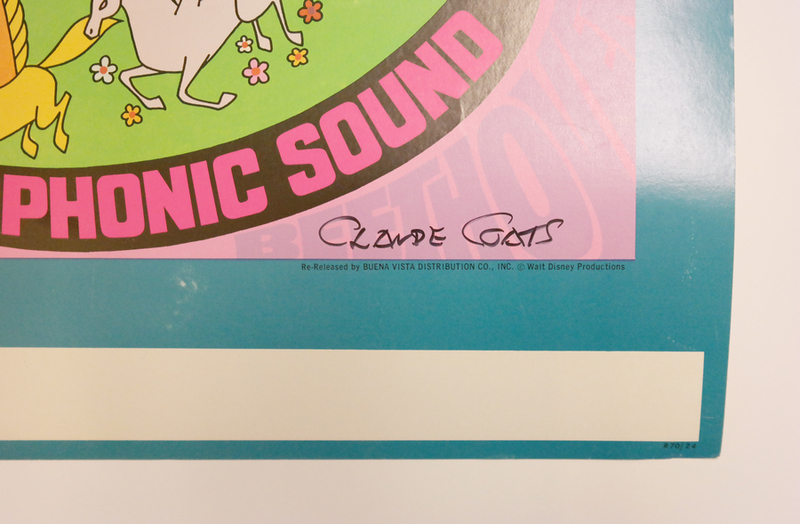 This particular window card is hand-signed by long time Disney Studios background artist Claude Coats in the lower right of the pink area. 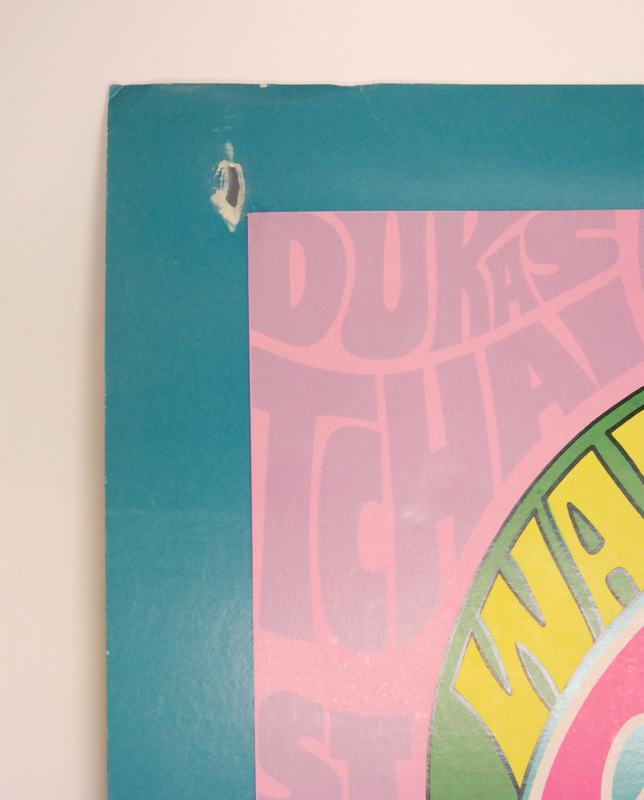 The poster is in fair-good condition with edge wear throughout the margins including some tears, creases, and staining.